A night of good music and dancing. What is not to like? I went to see Pippin, not knowing much about the show (yes, shame on me, I never saw it before) and about the theatre company called Sedos. When I arrived to the theatre there was a queue to enter and I thought: "ok, it has to be good then". It was not good. It was very good. First things first. Pippin is the 1972 musical with the music of Stephen Schwartz (Wicked) about the journey of this young man, Pippin, the younger son of the emperor Charlemagne who is looking to find a purpose for his existence. Actually, it is quite a gloomy story of murders, sacrifices, sin and death, but even if the message delivered is beautiful (Pippin finds himself not in women, not in wars not in adventures, but in a routinely life spent with a woman and her son, so his journey goes from being a prince to being a commoner) I can see that it could be a very dark musical. But this does not happen in the Sedos' production, because this joyful, energetic and modern version (there are phones and guns and much more) does not take itself too seriously. The performances are professional quality and the band amazing. 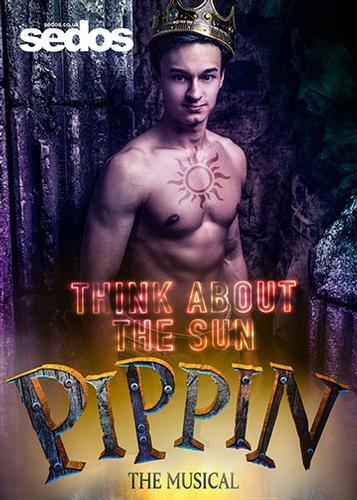 Joe Thompson-Oubari as Pippin and Corin Miller as Lead Player are outstanding. So, if you combine the humour with all the dancing and the beautiful songs very well performed by the cast, what you get is a great night out! Go to the Bridewell and give some support to these guys. They deserve it!